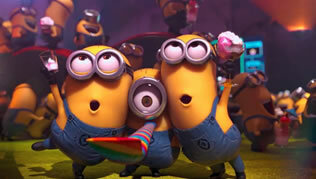 Love Minions? Here you will find the best minions merch! Shop for cute and funny Minions Toys&Figures right now! Decorate your interior with Minions related items! 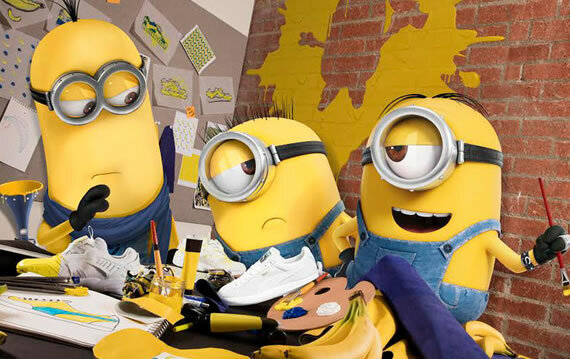 Welcome to Minion World – The Online Merch Store for Minions and Despicable Me Fans. We are proud to offer a wide range of high-quality and selectively handpicked minions themed products at affordable prices! You will find over 100 minions related items included, such as Accessories, Minions Home Decor, Minions Posters, Minions Stickers, Minions Toys, Minions Gifts, Minions Clothing, Costumes, Phone Cases and etc. 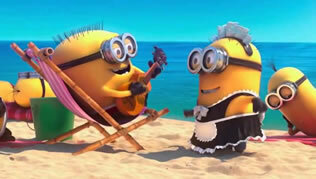 Minions are small yellow adorable creatures featured in Despicable Me and Despicable Me 2 and 3. They are tablets like Shaped and can have either one or two eyes. Evolving from single-celled yellow organisms at the dawn of time, Minions live to serve, but find themselves working for a continual series of unsuccessful masters, from T. Rex to Napoleon. Without a master to grovel for, the Minions fall into a deep depression. Funny enough, Minions are better at finding a master than at keeping one, and more often than not, they’re directly responsible for the demise of their master, whether that means bumping a T. rex into an open volcano or accidentally exposing Dracula to full daylight. Minions are naïve, impulsive with little self-control entities. However, their wide-eyed wonder and innocence have endeared them to viewers all over the world. People can relate to them in one way or another and can’t help but smile or laugh at their antics. They can be pests at times but bring plenty of laugh-out-loud moments. Want to relate and know more about these lovable but mischievous creatures? Join the train, order minions themed products and enjoy Free Shipping anywhere you reside in the World.